WEEK IN REVIEW: North Side teacher and South Side college student among 16 people killed last week | Homicide Watch Chicago | Mark every death. Remember every victim. Follow every case. At least 16 people were killed during the week of October 9-15 in Chicago, including two school employees who died in separate incidents in the Far South Side Rosemoor and Far North Side Rogers Park neighborhoods. Simone D. McKay, 26, was shot to death early Sunday morning on her porch in the 9600 block of South Forest in the Rosemoor neighborhood, according to Chicago Police and the Cook County medical examiner’s office. She was shot in the head and was pronounced dead at 12:13 a.m., authorities said. 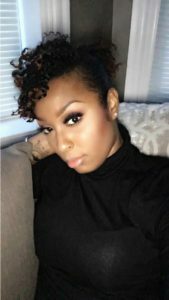 McKay was a part-time employee of the CPS Office of Early Education and was a senior biology major at Chicago State University. She was also a single mother of two young children. Another shooting victim, Cynthia Trevillion, 64, was caught in gang crossfire in the 6900 block of North Glenwood in the Rogers Park neighborhood at about 6:30 p.m. Friday, authorities said. Trevellion and her husband were walking to meet friends for dinner when she was struck in the head and neck. 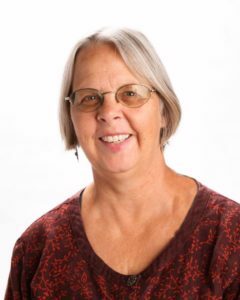 She was taken to Saint Francis Hospital in Evanston, where she died at 7:18 p.m.
Tevellion was a math teacher at the Chicago Waldorf School, where she had taught for the last 14 years. A 26-year-old man was fatally shot Sunday afternoon in the South Side Gresham neighborhood. Reno D. Wooldridge suffered gunshot wounds to the chest and arm at 12:33 p.m. in the 8300 block of South Justine, according to police and the medical examiner’s office. Wooldridge was taken to Christ Medical Center in Oak Lawn, where he died half an hour later. He lived on same block as the shooting. A man was shot to death Sunday morning in the South Shore neighborhood. Devon Caffie, 22, was walking about 11:10 a.m. on the sidewalk in the 6700 block of South Jeffery when two males got out of a Ford car and opened fire, according to authorities. Caffie suffered gunshot wounds to the chest, arm and back of his head; and was pronounced dead at the scene. He lived in the Roseland neighborhood on the Far South Side. A 19-year-old man and 17-year-old boy were shot to death Saturday night in the Gresham neighborhood on the South Side. They were sitting in a parked van about 10:25 p.m. in the 8900 block of South Union when someone fired at them from a passing gray sedan, according to police. The 19-year-old, Justin Gilbert; and the 17-year-old, Trevail Ridgell, were both shot multiple times and pronounced dead at the scene. Both lived in the same neighborhood. A man was shot to death Saturday afternoon in the South Shore neighborhood on the South Side. Officers responding to reports of shots fired at 2:29 p.m. in the 7000 block of South Chappel found 24-year-old Valentino Cockerham unresponsive with multiple gunshot wounds, according to police and the medical examiner’s office. Cockerham was pronounced dead at the scene. He lived in the same neighborhood. A man was shot to death Friday evening less than a block from his Back of the Yards neighborhood home on the South Side. About 8:15 p.m., 52-year-old Victor Carrillo was sitting in a vehicle parked in an alley off the 4400 block of South Marshfield when gunshots rang out and he was struck in his chest, police and the medical examiner’s office said. Another person drove Carrillo to Stroger Hospital, where he died. One man was killed and another wounded Friday afternoon in a Southwest Side Wrightwood neighborhood shooting. The men, both 26, were sitting in a car at 3:57 p.m. when someone walked up to them in the 8000 block of South California and fired shots, according to police. One of the men, identified as Sharrod L. Peoples, was shot multiple times in the body and was taken to Christ Medical Center in Oak Lawn, where he was pronounced dead, according to the medical examiner’s office. Peoples lived in the Auburn Gresham neighborhood on the South Side. The other man was shot in the bicep and his condition was stabilized at Christ. Fifty-five-year-old Sylvester Duarte was found beaten to death in his Northwest Side Avaondale apartment late Friday, and his 33-year-old son has been charged with his murder. Carlos Duarte was charged later Friday with urder for the death of his father, who was found dead at 10:18 p.m. in his apartment in the 2900 block of North Gresham, authorities said. He died from blunt force head injuries suffered in an assault. Prosecutors allege Carlos Duarte, a gang member, choked and beat his father, then struck him over the head several times with a dumbbell, when the two began arguing over the younger Duarte drawing gang signs in the apartment. He was ordered held without bond. A southwest suburban man was shot to death early Thursday in the Archer Heights neighborhood on the Southwest Side. Andres Pina, 24, was sitting inside a vehicle at 3:47 a.m., picking up a friend in the 4900 block of South Komensky, according to police and the medical examiner’s office. The friend told investigators he heard shots from outside and found his friend unresponsive inside the vehicle. Pina, who lived in Palos Hills, was shot in the neck and pronounced dead at the scene. A man was shot to death Wednesday night on the Near West Side. Officers responding to calls of shots fired about 8:30 p.m. found 28-year-old Dionysus English shot multiple times in the 100 block of South Western, police and the medical examiner’s office said. English was taken to Stroger Hospital, where he was pronounced dead. He lived in the Bronzeville neighborhood. One man was killed and two others wounded in a Fernwood neighborhood shooting early Tuesday on the Far South Side. The men were sitting in a vehicle at 12:58 a.m. in the 200 block of West 107th Street when another male walked up and fired multiple shots into the vehicle, according to police. The victims drove to the 8600 block of South Halsted, where they flagged down an Illinois State Police trooper for help. Deylion L. Spencer, 30, was shot in the back and was taken to Christ Medical Center, where he was pronounced dead less than an hour later. He lived in the South Side Washington Heights neighborhood. A 24-year-old man suffered two gunshot wounds to the arm and abdomen, while a 25-year-old man was shot in the arm, leg and buttocks, police said. They were also taken to Christ, where they were listed in serious condition. A 46-year-old man died about an hour after he was shot Monday afternoon in the South Shore neighborhood. About 2:10 p.m., Marshall Carter was standing outside in the back of a home in the 7300 block of South Dante when someone walked up and fired shots, according to police and the medical examiner’s office. Carter, who lived in the same neighborhood, suffered multiple gunshot wounds and was taken to Northwestern Memorial Hospital, where he was pronounced dead at 2:53 p.m.
About 1:15 a.m., 34-year-old Adam Furtick was found shot inside a vehicle in the 4300 block of West 79th Street in the Scottsdale neighborhood on the Southwest Side, authorities said. Furtick, who lived in southwest suburban Bridgeview, had suffered a gunshot wound to the abdomen and was taken to Christ Medical Center, where he died at 6:15 a.m.
A man was shot to death early Monday in the East Chatham neighborhood on the South Side. Joshua Williams, 24, was with several males at 12:37 a.m., walking in an alley in the 8300 block of South Ingleside when someone opened fire, according to police and the medical examiner’s office. Williams was shot in the head and was pronounced dead at the scene. He lived in South Shore.